Home » blog » Is Your Table Ready for Thanksgiving? As the holiday season approaches, people start preparing their homes for the festivities – families and friends will be gathering and sharing meals and good times, so those who will be hosting the celebrations need to get ready for the guests. Since most holiday gatherings are centered around a meal, the dining table takes on special importance on such occasions and, therefore, requires special preparations as well. It becomes the focal point of the festivities, the item everything (and everyone) revolves around, so it has to look its best for the holidays – and be well protected, so that it still looks good for many years and many celebrations to come. The large amount of food and drinks on the dining table during holiday meals and the great number of people around it, passing plates and raising glasses in a joyful and carefree manner, put the fine furniture piece at high risk of surface damage and stains. So, if you’re expecting guests and planning a nice meal on Thanksgiving or Christmas, you need to prepare your table well – make it look great and keep it safe during the festivities. A glass top cut to fit the tabletop will provide excellent protection to the fine wood surface and, unlike other protective covers, won’t hide your gorgeous wood table from view – you and your guests will be able to enjoy the natural beauty of the wood through the transparent glass. If you go for this option though, you’ll have to think of good ways to protect the glass surface itself. Also, keep in mind that a glass top should rest on “spacer buttons”, so that the glass is slightly away from the wood – otherwise, it will wick moisture underneath and damage the wood surface. Protective table pads, preferably with fabric underside (made of rayon or polyester felt), ensure the best possible protection to a wood dining table. Custom cut to fit the exact shape and size of your tabletop, they not only prevent any contact between the wood surface and the items on the table, but also provide a thick padding that can easily absorb impact and pressure, protecting your furniture piece from heavy objects and sudden shocks. The only drawback of using protective dining table pads is that your table will neither look nor feel the same once you put them in place. The most common of all table covers, tablecloths serve both a decorative and a protective purpose. They can help you set the holiday theme, while also protecting the table from spills and scratches. Tablecloths come in a myriad of designs and colors, giving you the opportunity to create the perfect atmosphere for the holiday – autumn leaves on Thanksgiving or mistletoe branches on Christmas, etc. If you decide to use a tablecloth, make sure it is big enough to drape 6 inches over each side of the table. 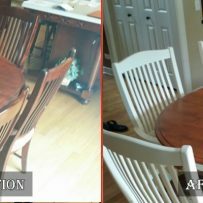 Use only linen or cotton tablecloths as vinyl and plastic ones can damage some wood finishes or leave residues behind. Over time, these materials can make the table surface sticky and even cause discoloration. Spills can easily penetrate through the cloth to the table surface, so you need to lay heatproof and waterproof mats under fabric tablecloths for added protection. If you have a beautiful table, you may prefer to use placemats instead of a tablecloth. Unlike the larger table cloth that covers the entire surface, placemats (or table mats) are designated an individual place setting. They can be made from many different materials and come in many different designs and cut-outs, such as embossed turkeys or plaid pumpkins. From Christmas trees to Thanksgiving cornucopias, there are many different motifs and color schemes used for holiday placemats, so you can take your pick. Just make sure you opt for felt backed ones with vinyl or some other appropriate impermeable material on top for optimal protection (plastic or rubber mats may soften and damage the wood finish). Use coasters – Always use cork coasters under cups, glasses, vases, and any other sharp-edged items you set on your wood table. Place coasters under bowls, cups, mugs, glasses, and bottles to protect the dining table from watermarks. Follow the direction of the grain when wiping the wood surface. Polish the wood surfaces twice a year – Avoid polishing products that contain silicones as they can soak into the grain of the wood and cause irreversible damage. Use a hard, carnauba wax instead – apply it with the help of a soft, cotton rag and buff the table surface with a clean, lint-free cloth. When properly cared for, your dining table will last for decades and will bring joy and delight every holiday season for years to come. The above tips for protecting wood dining table tops will help you keep your beautiful furniture piece intact and unscathed during the holiday gatherings, but a large spill or careless motion may still cause damage. 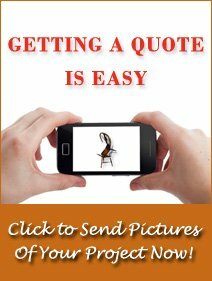 If your dining room table is badly scratched or stained, your best option is to have it professionally refinished. Furniture restoration specialists have the advanced equipment and expert skills to remove burns and water marks from wood tables, fix scratches and gouges, and make any other necessary repairs that will bring your cherished furniture back to its original condition. 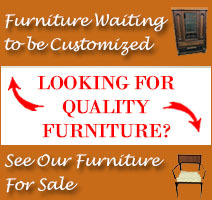 If you need wood furniture refinishing services in the Carol Stream, IL, area, call Furniture Medic by MasterCare Experts for help – we provide high quality craftsmanship to repair and restore wooden furniture and guarantee excellent results, no matter how severe the damage. You can trust us to restore the natural beauty and strength of your dining table in a safe and efficient manner, so that it is ready for the next holiday. Call us at 630-653-3131 for more information and professional assistance.